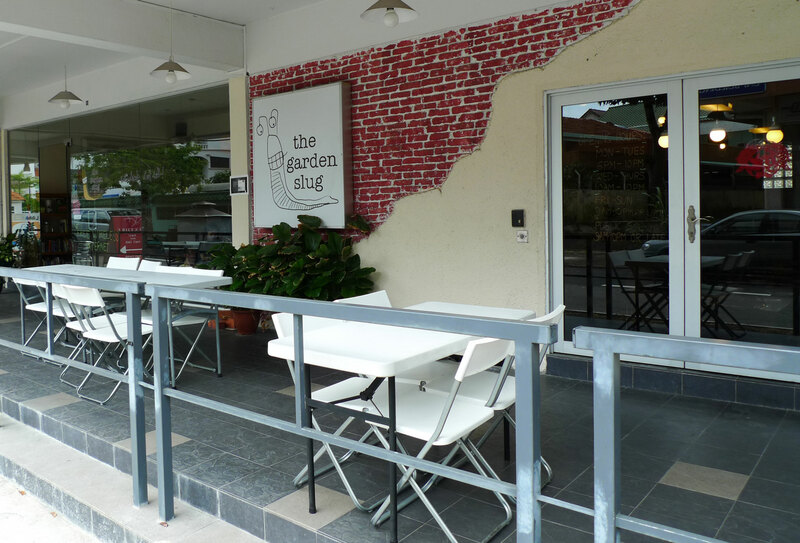 Located at a pretty ulu corner in the far far East of sunny Singapore, there lies a quaint little cafe restaurant called The Garden Slug. Normally I wouldn’t come all the way to the deep East side just to eat but I’ve been seeing some good reviews about this place floating around Twitter. When @danielchant organised a tweetup at The Garden Slug, I took it as a good opportunity to meet the local tweeps and visit the cafe as well. 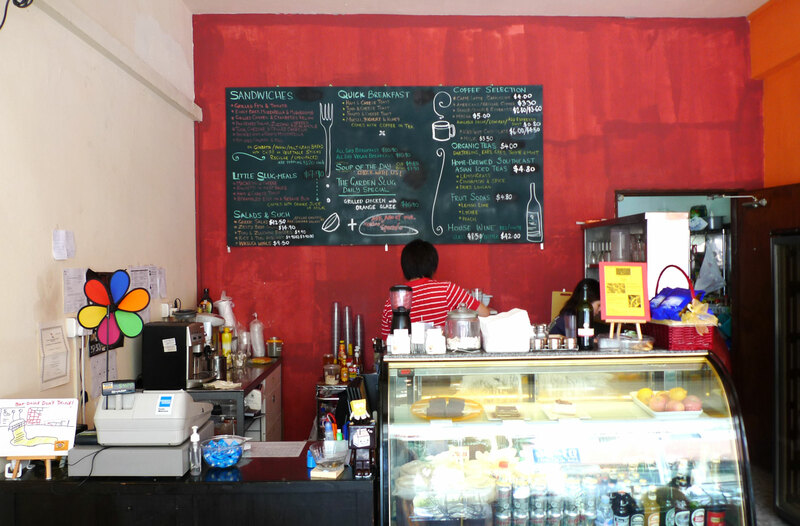 This is the view that greets you when entering The Garden Slug, a rather homely and old-fashioned counter area with cute hand-written chalk menu. 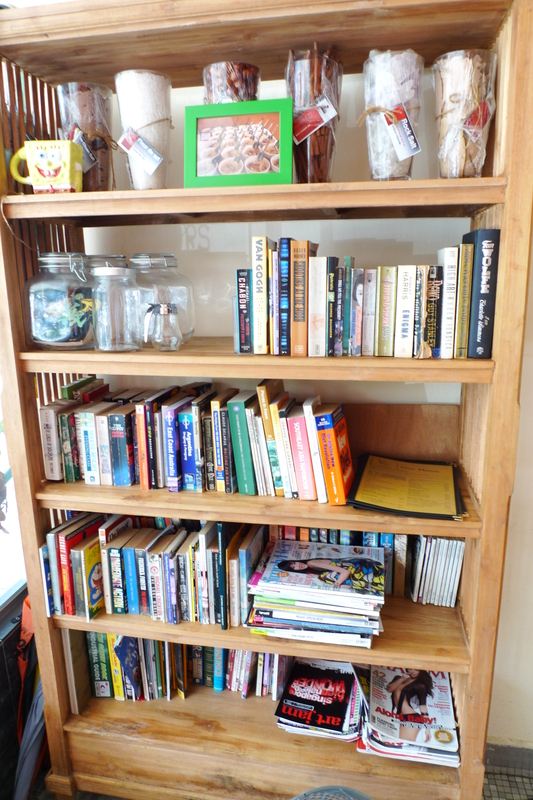 Right beside is a bookshelf, holding many books for patrons to relax at 1 corner and read at leisure. 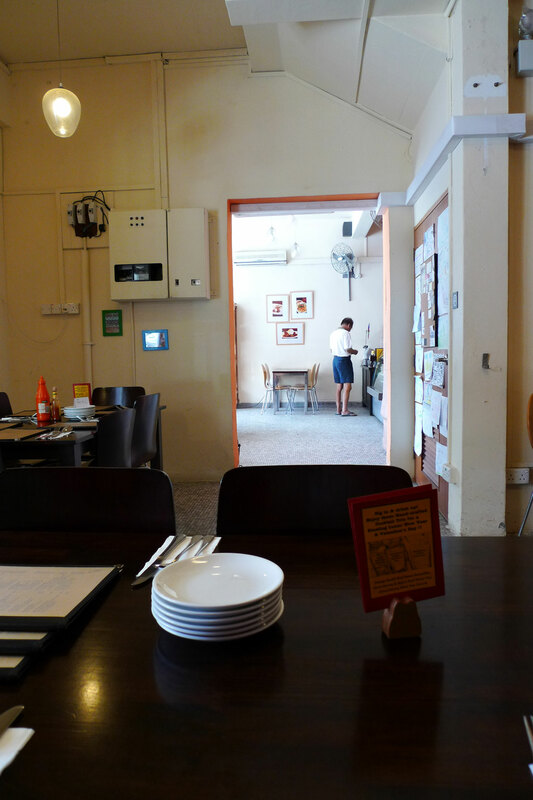 Over at the dining area, they prepared a super long table for us and I took a shot at the entrance area from here. They have this nice corkboard on the right side where kids can pin up their crayon drawings of the Garden Slug and other stuff. There is also an inordinate amount of real estate agent namecards pinned up there too. 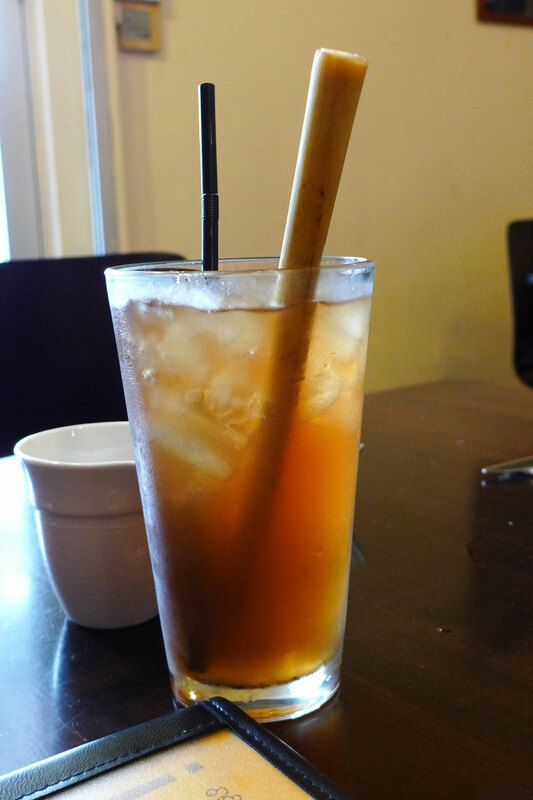 This is @gnoserif‘s drink, which I think iced lemongrass tea. Looks refreshing, especially on that damn hot day. 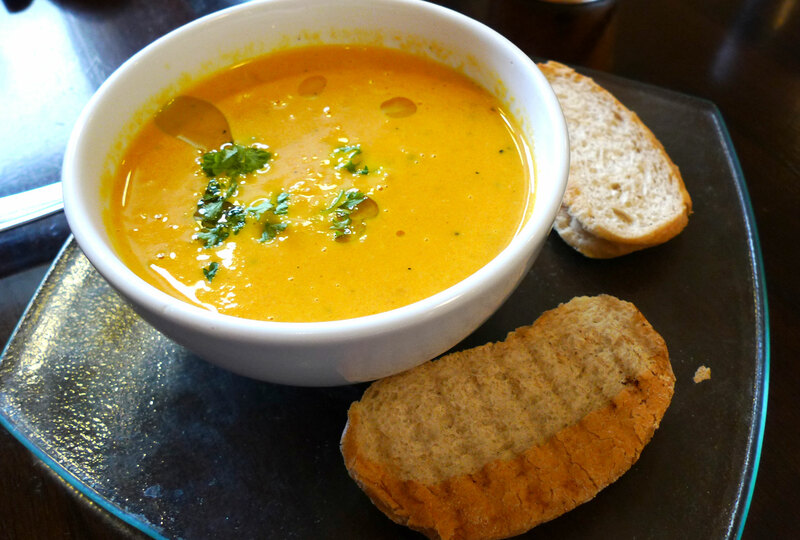 And this is his appetizer, the Hearty Soup of the Day, which is carrot and chicken soup. I didn’t order it but by the accounts of those who did, it was quite tasty! 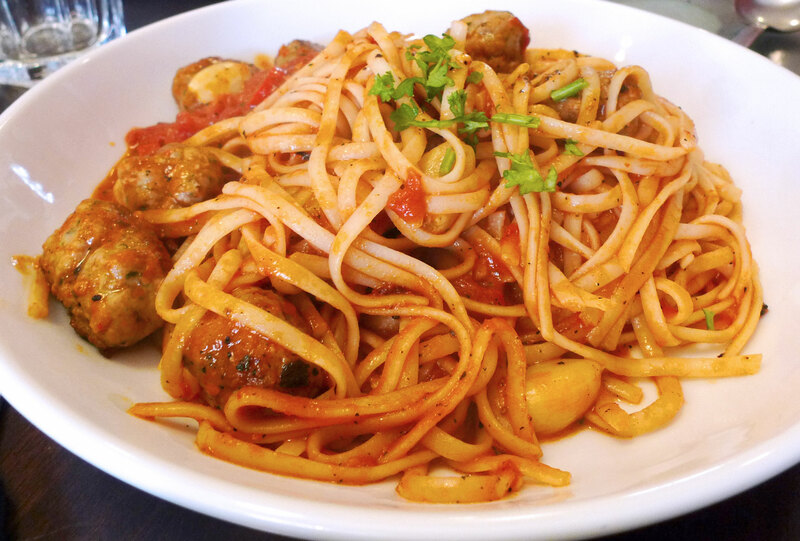 My pasta took forever to come so while waiting I snapped a picture of @inrsoul‘s dish beside me – meatball spaghetti. And finally mine did come! 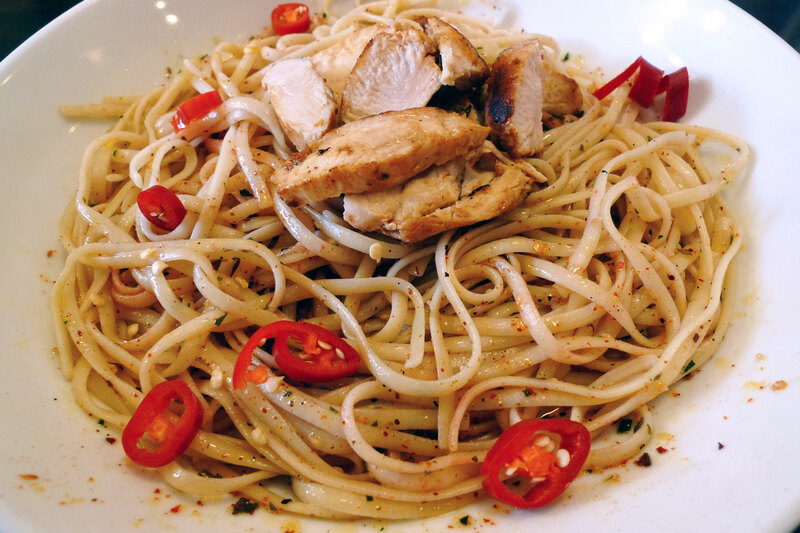 My order was linguine topped with grilled chicken breast and tossed in lime-leaf accented garlic butter. I have to say that at first taste, it tasted bland but as I continued eating it, the flavours came to life and it was really tasty, together with the juicy grilled chicken breasts. This is why even though my dish was the last to arrive, I was the first to finish it! I think the others were quite amazed at how fast I polished off the dish. The combination of oils and sauces was subtle and not overpowering, and gave the dish a simple yet layered taste. You could taste the overall savouriness of the garlic butter but it was lifted by the accents of lime in it. Mine was the non-spicy version so I guess chilli lovers will like the added spiciness on top of all that. This is kinda like a tastier version of aglio olio! The only down point is that I felt the linguine could be served warmer. But nonetheless, this is definitely a recommended dish! My dessert is just a simple strawberries & cream with vanilla gelato. I don’t really have much to say about it as I’m not a dessert person and this dish is really quite simple. 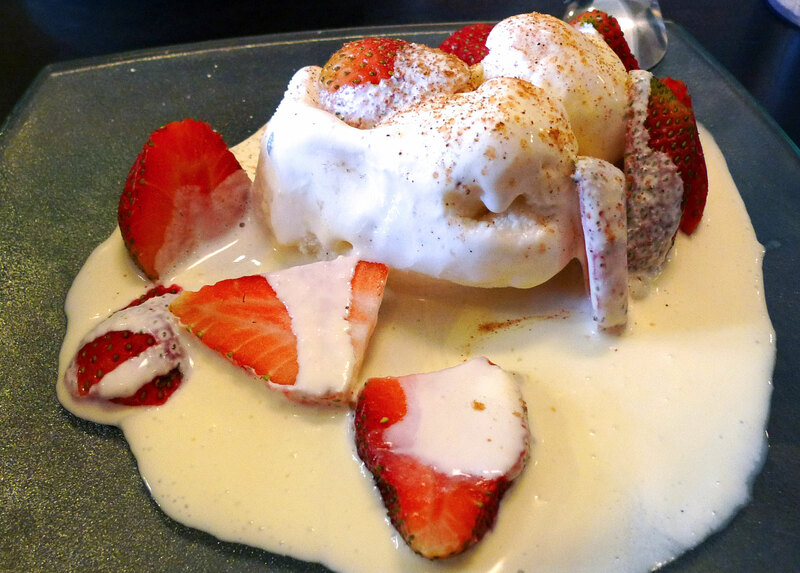 But everything tastes as it should be – the strawberries are sourish and the vanilla gelato is smooth and nice. 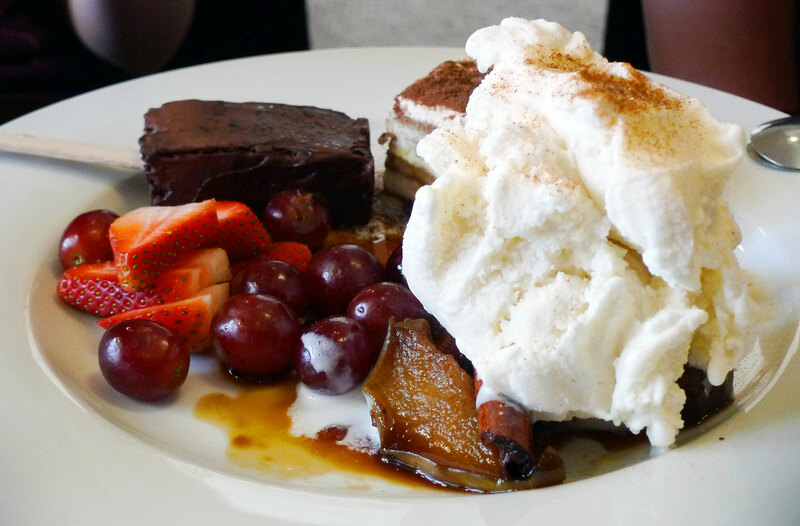 Here’s what’s on the plate: Tiramisu, Brownie Popsicle, Pear William with Gelato and Berries. The way The Garden Slug put the brownie on the stick is so cute! Nonetheless, of all the desserts, only one stuck out to me – Pear William, or Stewed Pears in White Wine & Cinammon. Stewed with its skin on, the pear slices are bursting with saccharine delightfulness. Devoured with vanilla gelato, Pear William was well-balanced and great for the sugar fiend. And as a nice gesture, the Garden Slug provided us with sampling platters of their Hearty Tarts. 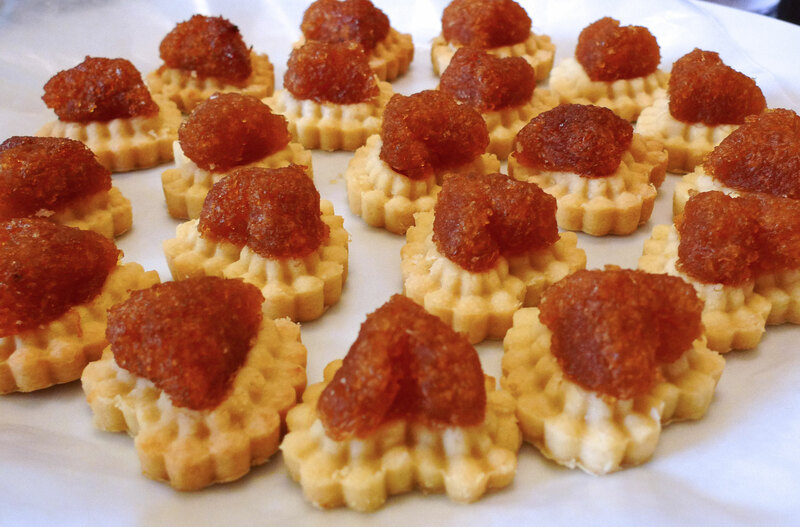 These are 100% home-made pineapple tarts and they come in 2 flavours: original and rum. The picture below is of the original flavour. It was quite nice, the pastry was really soft and crumbly in your mouth, and the pineapple topping was intense. 8 Responses to "Tweetup at The Garden Slug"
I love their French toast! Really? I must try it the next time I go then. There’s just so much food on their menu!